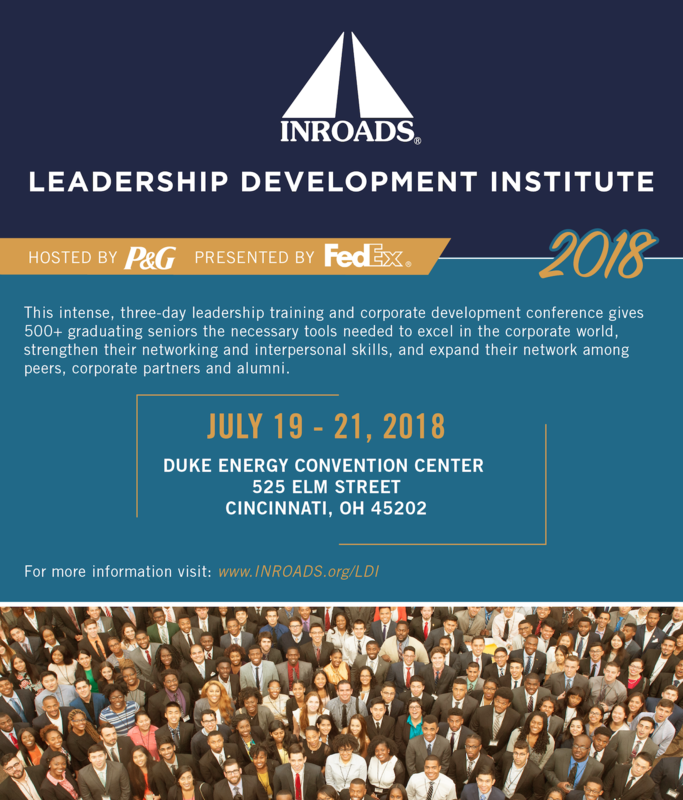 WE ARE EXCITED THAT YOU HAVE DECIDED TO LEND YOUR SUPPORT TO INROADS TO MAKE THIS YEAR’S LEADERSHIP DEVELOPMENT INSTITUTE ONE OF THE BIGGEST AND BEST EVENTS OF SUMMER 2018! There are several areas to lend your support as a volunteer. Complete the registration form below for submission. Registrations will be reviewed by our Training Lead and final assignments will be announced prior to the Leadership Development Institute. Please note that if you are not selected for the volunteer position(s) you register for; you may be asked to lend your support in another area of need and/or you will be notified that we’ve obtained the support needed for this year’s Leadership Development Institute. *Please note that INROADS cannot provide travel, or accommodation assistance. Please provide any comments that you would like to provide to the LDI team.